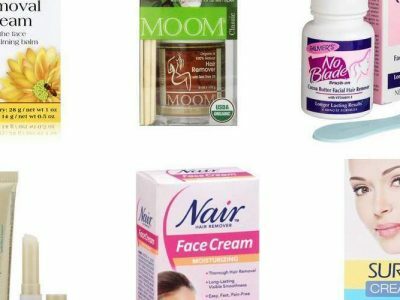 To have a complete skin care regimen, you need to have beauty products that you can use during the day and also at night. A night cream is a vital beauty care addition that you can use to get a quick skim of ingredients that helps to support the skin’s regeneration that happens overnight. 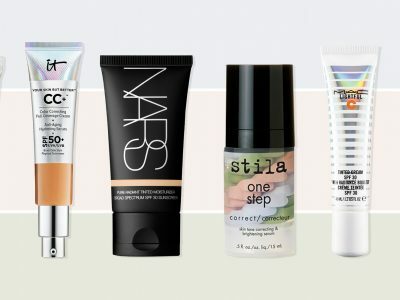 During the day, whenever you want to go anywhere, you use a beauty product be it a facial moisturizer, a sunscreen, or a moisturizer with SPF that protects the skin from environmental factors. However, during the night, the skin finds the only time resent for it to heal and repair itself. The CeraVe Night Cream for Face is made by dermatologists to work alongside your natura circadian rhythm and help restore the skin barrier during the night when the skin is more receptive. The formula contains hyaluronic acid that allows the skin to retain its moisture content. It has unique complex biomimetic peptides that help to get rid of the skin’s tired look overnight. It as well contains three essential ceramides, 1, 3, 6-II that help in restoring the skin’s barrier. The cream uses a patented MVE control release technology to deliver replenishment to the ceramides in the skin and offer a long and lasting moisturization. The cream does not contain any fragrance and does not leave behind any greasy after effect. The cream works on the fine lines and wrinkles on the skin. It is best for use on oily skin as it leaves behind a surface that looks refreshed. The Retinol Moisturizer Cream for Face is made for use by all skin types. The cream contains a 2.5 percent Retinol Complex that helps in giving an immediate and long term release hence promoting a radiant skin. The cream comes with hyaluronic acid that helps to boost the skin’s volume and fullness by hydrating and plumping the skin giving it a youthful resilience. It as well contains green tea that contains antioxidants that help in fighting against inflammation of the skin and the signs of aging. The green tea is also responsible for dealing with oily skin and battling skin acne. There is Vitamin E that takes care of the free radicals on the skin surface hence reducing the signs of aging. The appearances of fine lines, large pores and wrinkles are softened and eliminated leaving behind a new skin that has a youthful glow. You should apply the moisturizer after using a cleanser, toner, and serum in your skincare routine. You can use it for both morning and night. However, if you use it in the morning, follow it up with a sunscreen immediately. 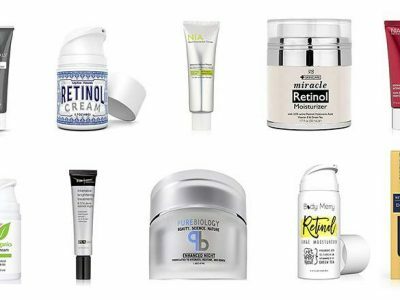 The RoC Retinol Correxion Deep Wrinkle Anti-Aging Retinol Night Cream is a highly tested formula from the Johnson & Johnson family of consumer companies. Within one year, tests have shown that the continuous use of retinol is beneficial in the reduction of expression lines and deep wrinkles. The formula is made to work at night when the skin is more receptive. After four weeks of use, you can have a more vibrant skin with crow’s feet visibly reduced. Eight weeks later, all the wrinkles under the eyes will be smoothened, and the fine lines will be visibly gone. Twelve weeks down the line, the deep wrinkles of the skin are not visible. The RoC Retinol Correxion Deep Wrinkle Anti-Aging Retinol Night Cream is tested and proven by dermatologists and does not contain any oils. It is Non-comedogenic as it does not clog your pores. The Pure Biology Premium Night Cream Face Moisturizer with Retinol is ideal for use by any skin type. The cream targets like a serum hydrate like a cream and feels just like a gel. It contains a patented synthetic tripeptide called Syn-Coll that helps to slow down the aging process of the skin. The cream contains a TGF-beta booster unlike any other in the market to boost the amount of collagen and protect it from degradation. It includes a blend of Retinol, Vitamin A & E, Argan oil, Hyaluronic acid and castor oil that provide robust and complex properties responsible in delivering the most potent wrinkle reduction. It as well contains baobab oil and Ceramide 2 that helps in getting rid of the puffiness and dark circles under the eyes renewing the skin around the area giving you a more refreshed and youthful look. The Olay Regenerist Night Recovery Anti-Aging Face Moisturizer provides the skin with intense hydration throughout the night when the skin is recovering and recharging. Once you wake up, your face is intensely moisturized and has a younger looking complexion. The moisturizer amino-peptides and other anti-aging ingredients such as Vitamin B & E that help to visibly correct the look of aging skin and improve the skin surface cells to regenerate. 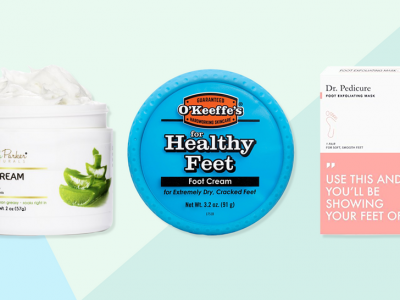 Experiments were done revealing that 97 percent of all women that used the moisturizer has a smoother and hydrated skin within two weeks. The formula is made to deliver the moisturizing ingredients ten layers deep into the skin surface and working overnight to achieve the results. The Korean Moisturizer Coconut Milk Drop Facial Cream is made from coconut milk that contains very high levels of Vitamin C that helps in maintaining skin flexibility and elasticity. The cream as well contains copper that aids in getting rid of sagging skin, wrinkles and age spots. The Coconut milk contains natural fatty acids that help to treat irritated skin and get of harmful bacteria from the surface. It absorbs quickly into the ski keeping it silky and soft all day without any shine or stickiness. The Boots No7 Beautiful Skin Night Cream is an essential step to a beautiful skin routine for someone with oily skin. The cream is light and does not clog the pores on the surface. The Boots No7 Beautiful Skin Night Cream contains zinc that helps in the prevention of skin aging while still offering the skin the right amount of moisture. The cream is formulated to work at night when the skin is rejuvenating leaving behind a shine-free and radiant skin. The Seaweed Night Cream is a product of Mario Badescu that has been in the dermatology industry since 1967 with robust solutions to acne and potent anti-aging treatments. The Seaweed Night Cream contains Bladderwrack that softens and nourishes the skin. It also has collagen that plumps and smoothens the appearance of the skin. Elastin works to protect against the loss of moisture and help the skin in remaining firm and elastic. It as well contains Sodium Hyaluronate that retains the skin’s hydration level giving the surface a plumper and smoother look. If you are looking for a restorative night cream that you can use in your mid-years to improve on the elasticity and firmness of your skin, you should get the Aveeno Absolutely Ageless Restorative Night Cream. The absolute ageless restoration cream contains an antioxidant-rich blackberry complex that is blended with vitamin C & E together with other active ingredients to reduce the appearance of wrinkle and fine lines. The cream is clinically proven to improve the skin elasticity and firmness by preventing the loss of collagen. The cream as well strengthens the skins natural moisture barrier ensuring that the surface remains hydrated. For the last 65 years, dermatologists have recommended the use of this product. It is hypoallergenic and does not clog the pores. The Murad Retinol Youth Renewal Night Cream is a luxurious night cream that uses retinol tri-active technology to get rid of fine lines, wrinkles visibly and to smoothen the texture of the skin. It contains red algae extract that is rich in peptides to help work on the firmness and elasticity of the skin restoring the youthful skin contours. It as well includes Swertia flower extract breakthrough technology that as well helps in providing the surface with the required firmness. The cream will leave your skill with enough nourishment and moisture giving it a vibrant complexion. If you want a night cream that you can apply if you have sensitive skin without the fear of acne breaking out, you need to get the EVE LOM Time Retreat Intensive Night Cream. It contains retinol that is encapsulated in a liposome that can reduce the appearance of fine lines, age spots and wrinkles without irritation the skin. It contains shea butter and squalene that offer moisturizing and nourishing properties, Hyaluronic acid that keeps the skin plump with hydration and aloe Vera that moisturizes and soothes the skin. The Skin Ceuticals Skin ceuticals renew overnight dry is made for use at night when the skin is in restoration. The moisturizer is formulated to reduce the appearance of fine lines and wrinkles as well as provide enough moisture to dry surface. It contains extracts from chamomile, aloe and evening primrose that help in providing the skin with nourishment and hydration. It has 10% hydroxyl acid that helps to exfoliate dead skin. After using the Skin, Ceuticals Skin ceuticals renew overnight dry you will wake up with a radiant and healthy facial complex. Selecting a good night cream is very much dependent on the skin type and the ingredients in use. If you have oily skin that is prone to breakouts, you should work towards finding ways to reduce the spots that come about mostly due to the use of unnecessary body products. You should cleanse the skin being careful not to overstimulate it. Look for night creams that contain salicylic acid that the surface can use to control sebum and retinol. Also, you should ensure that the night cream is light and does not contain oils or clog the skin pores. The night cream has been known to have properties that help the skin to battle against aging. According to experts the skin ages in two way. Intrinsic and extrinsic. Intrinsic aging of the skin happens naturally. You cannot reverse the process; however, you may slow it down. Extrinsic, on the other hand, occurs when you expose your skin to harsh environmental pollutants, the rays of the sun and poor air conditioning or when you have poor lifestyle choices that later on lead to sagging skin and other skin aging condition. To protect your skin from early aging, always look for a night cream that comes with hyaluronic acid and resveratrol both of which are important in helping the skin maintain its moisture and keep it smooth and plump giving the surface a rather youthful glow. You should, however, know that hyaluronic acid is an ingredient you can find in very many different products. It has a substantial molecular weight that may not allow for deep skin penetration. Therefore, when choosing a night cream, it is best to consider products that contain micro hyaluronic acid that has a smaller molecular mass allowing it to penetrate deeper in the skin. Resveratrol is another antioxidant ingredient you should be on the look-out for. It is known for dealing with radicals on the skin surface and has been seen to have a synergistic effect with Vitamin E and boost the antioxidant capacity of the skin is as well regarded as a powerful anti-aging ingredient. 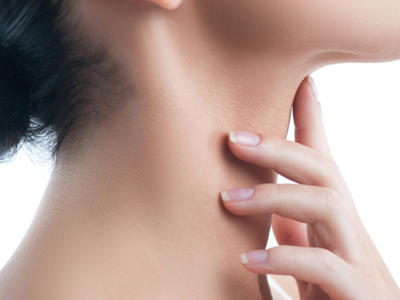 During the cold seasons, the skin begins to lose moisture becoming rough and looking dull. The best way to help the skin regain its glowing and youthful appearance is by investing in a night cream that can quench the skin’s hydration. Look for a night cream that comes with glycerin or any other ingredient that attracts and retains moisture such as urea and niacinamide. You should as well look for parts that helps the skin to reduce the amount of moisture it loses. You can go for ingredients that help to nourish the skin’s barrier hence slowing down moisture loss and getting rid of dry skin. When selecting a night cream, it does not have to protect you from UV radiation. Always pick a cream without a sunscreen since you will only use it at night and not during the day. However, ensure that it contains active ingredients that are beneficial to your skin. 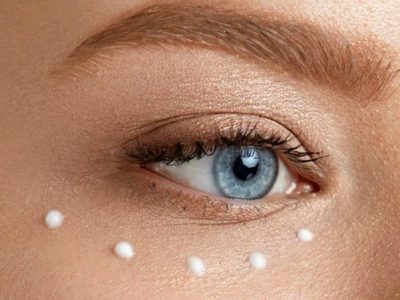 When choosing a night cream, look for elements such as coffee bean extract, Serrat, Centella, Vitamin C and E, and licorice among other active ingredients. They should be highly concentrated to address the problems facing mature skin. A light night cream can penetrate deep into the skin so that it can take effect immediately. 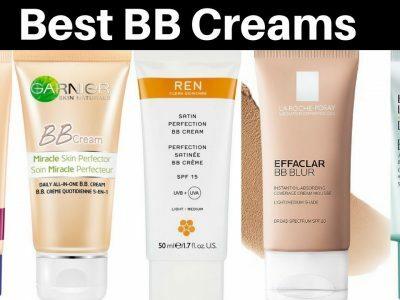 Do not choose a cream that is thick and one that can only stay on the skin’s surface as it will give you an oily and greasy feel by morning. A thick cream may as well clog the skin pore leading to other skin problems occurring. You should achieve this is by performing a patch test to see if the cream will have any undesirable effects on your skin. Apply a small amount on the back side of your hand and observe to see the reaction. If there is any irritation or discomfort, you should cease immediate use. However, if the skin absorbs the cream without any adverse effects, you can continue using the cream. It is risky to use creams that have an alcohol base especially for people with sensitive skin. A good cream should be free from Allergens, Parabens, chemicals, and intense fragrance that may irritate the skin when in use. You should note that during the day, sunscreens, facial masks, and Moisturizers work to offer the skin with coverage and protection from the environmental factors. However, Night creams work at night to provide more intensive care to the skin surface as you rest restoring your cells and delivering the best benefits. It contains Vitamin C and Retinol that are concentrated since they work best out of the sun. Always scrub your face before using a night cream and after waking up. Expect to get the best results ever with the skin becoming silky and soft. Use a moisturizer to keep the skin hydrated afterward.